Sometimes every day objects catch my eye. While we were out with friends one evening this lampshade struck me as pretty interesting. My wife laughed at me for taking this picture. Yes, it’s just a lampshade but it reminded me of something you might see in a science fiction movie, like a deep space station. 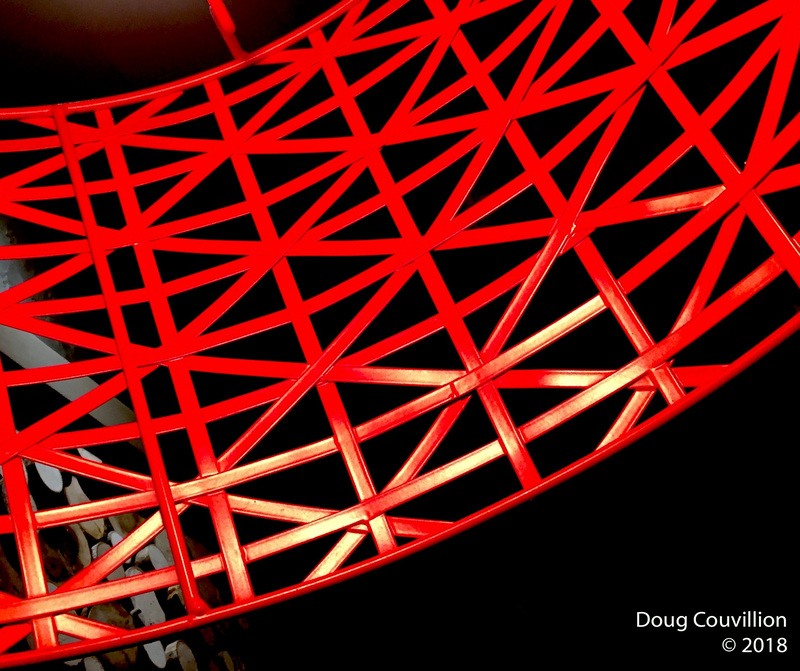 The curves vs. straight, geometric lines, and the dark background contrasting with the bright, red, polished metal also seemed photo-worthy to me. Submitted for the Weekly Photo Challenge Out of This World. This is a great photo of an structure to imagine walking on in space. Loved it. I like the geometry here ! !